Narrow at times, the trail is very comfortable for hiking and easy to follow. There is wild flora and fauna all along the way. One of the last times we made this trek, we saw a cow moose along the trail. The falls at the destination are a welcome sight and perfect for pictures. This hike starts in Timpanooke and goes up the same trail one takes to the summit. After about 2 miles, you see the sign for Scout Falls and leave the trail for short walk to what appears to be a dead end, so the route can be tricky. Climb the roots and continue along the rocks edge 100 feet more. Scout Falls in the news. Linda and Mathew braved this trail. We left around 7 with the expectation that we would be back home by 8:30. The vertical climb was invigorating, but it's short enough that a quick evening hike is not onerous. We met two hikers from Missouri coming down the trail. They left at 7:30 that morning to climb Timp and were just returning. "This was a little more hike that we were expecting," one of the two young men said. 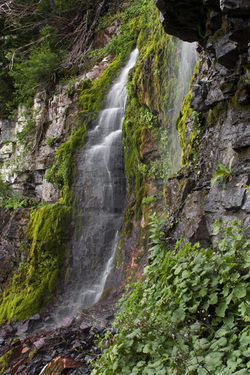 Scout Falls is a famous hike for families with many trail resources and ​frequently reviewed. 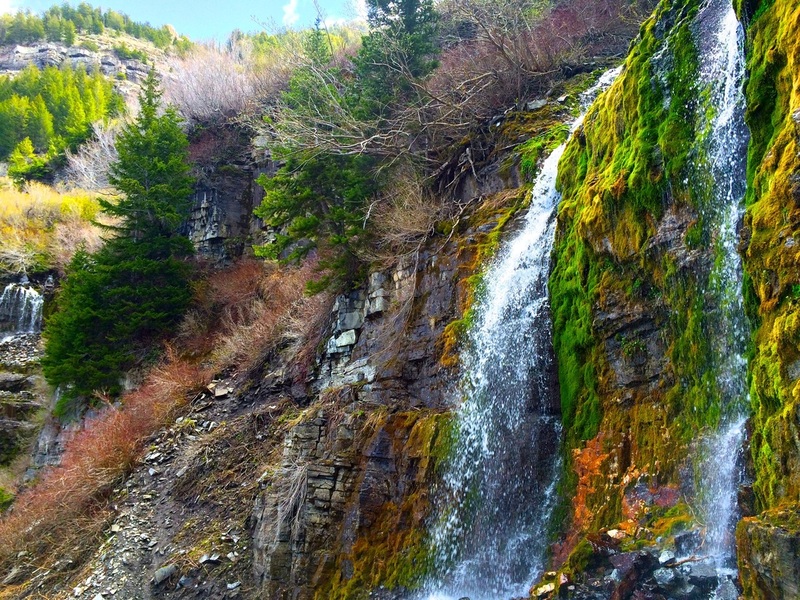 We heard about the hike to Scout Falls. It's as good as advertised. This 4-mile jaunt was exceptional.